"Fire Walking.." in The Sunday Times revived memories of a close friend and mentor of mine, known to all as German Swami Gauribala. Before his demise in Jaffna in 1984, he was one who did the fire walking at Kataragama annually during the July Festival for over 10 years, walking barefoot from the North, along the coast line via Batticaloa, Pottuvil and the Yala Sanctuary to this southern jungle shrine. German Swami, with whom I was associated very closely as a member of a group of six, including the one-time Governor-General's, son, Soulbury, better known in Kataragama and elsewhere as Soulbury Swami, alias Annaikutti and Sandasawami, two Australians, a Tamil, Swami Gauribala and myself - often told us that the walkathon pilgrimage to this place corresponded to the Biblical return of the 'Prodigal Son' to his Father's Home, after his wanderings in the temporal world, sans anyone organising the journey back or telling him to do so. The direction was expected to sprout from within each individual's heart impelled by an inner spiritual call. The Journey is analogically parallel to the return from the periphery of mortal samsara to the Centre of spirituality in one's own self.  Kataragama was said to symbolically signify this in a spatio-temporal-experiential manner. It was a ritual of self-abnegation and mortification, in a sort of puja as an offering of one's karmically earned, mortal self to the Unknown. German Swami performed this many times in his lifetime, and when he started on this pilgrimage, others, who had a similar 'inner call' joined him (or he joined them) on the way and their numbers grew, until the whole show became one seething mass of pilgrims, carrying packs on heads and shoulders, by the time the concourse reached Kataragama before the festival, partaking alms doled out to them en route by householders by way of sustenance. Having reached the sacred destination, some performed other modes of penance like rolling half-naked on the scorching sand, skewing their tongues and cheeks with spikes and dangling, roped on hoists, etc. 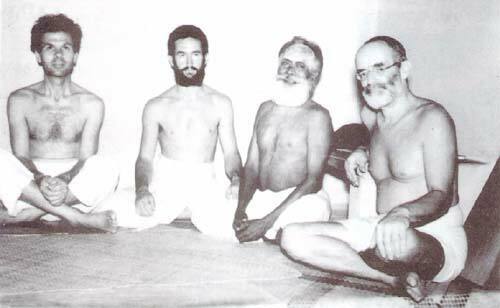 German Swami told us that all such acts are possible owing to a dramatic transformation of our normal, familiar, mind-consciousness to a supra-mental state, triggered by intense faith and devotion, similar to the states attained by saints in ancient times when they were tortured or burnt at the stake. In this state of self-hypnosis the conventional consciousness within Time/Space/Experience reaches a Bindu of one-pointedness and other forms of awareness (or non-awareness) takes over, very much like one under an anaesthetic. This is where, perhaps, the activation and attributes of the pineal gland comes into play. 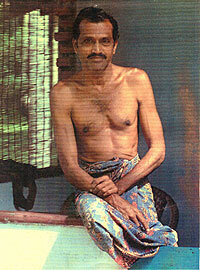 Editor's note: Among Yogaswami's admirers and dedicated devotees, Sam Wickramasinghe was exceptional, not only because he was Sinhalese by birth, but because he spent decades among other devotees (in Kathirkamam) and in solitude (at Guru Madam, island of Kayts in Jaffna District) endeavoring to penetrate into deeper and deeper levels of Yogaswami's multi-leveled deeds and utterances. Still lively and outspoken into his 80s, Sam was widely sought out by younger seekers for his colorful accounts of past experiences and exploits. He was also an accomplished writer, many of whose articles, such as this one, appeared over the years in the Sri Lankan English press.